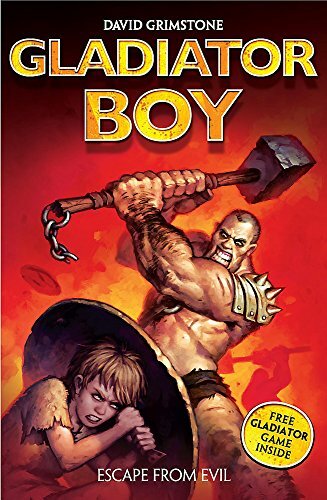 This is the second book in a gripping series packed full of action and adventure as young gladiator Decimus Rex fights for survival in Ancient Rome. Captured by slave-takers, Decimus Rex is forced to endure a series of trials in the dreaded Arena of Doom. With his five cellmates, Decimus faces a race over burning hot coals. He is then is forced into violent hand-to-hand combat with a fellow slave. Life can't get any more difficult than this...or can it? Will he ever be free? Or will he be subject to the cruel overlord Slavious Doom for ever?